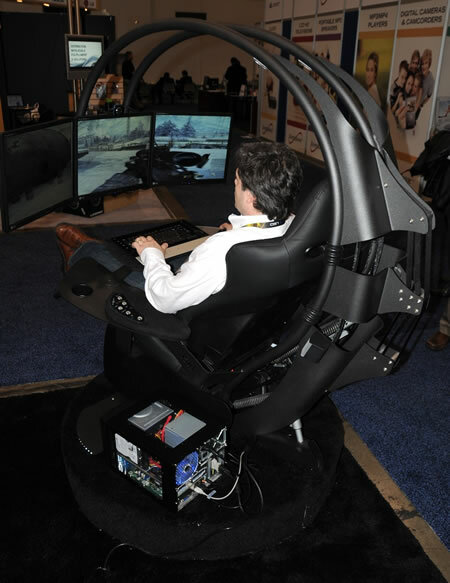 Take a look at the Emperor 1510 gaming workstation and try to see yourself piloting your computer into game nirvana. The Emperor is a stainless steel enclosure that can be tricked out with three screens, surround sound, adjustable seat and leg rests, an adjustable keyboard tray, inputs for a Mac or PC, and can recline up to 15 degrees. It can be customized with different colors and other accoutrements. 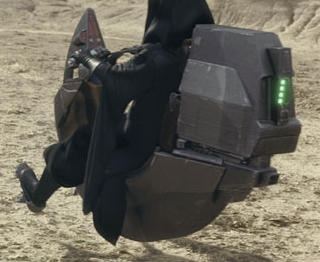 I really think that the designers of the Emperor 1510 had something else in mind - like maybe Darth Maul's Sith Speeder from Star Wars.